Everyone loves a good comeback story, right? They just have a way to make you feel all warm and fuzzy inside! So, if comeback stories are good, it’s only natural that comeback stories involving dogs are even better! We’ve put together a list of the 12 most heart-warming, soul-wrenching, tear-jerking dog rescue stories we could find. They may seem sad at first, but keep reading. They get better! And, if you’re just dying to know, they all have happy endings! 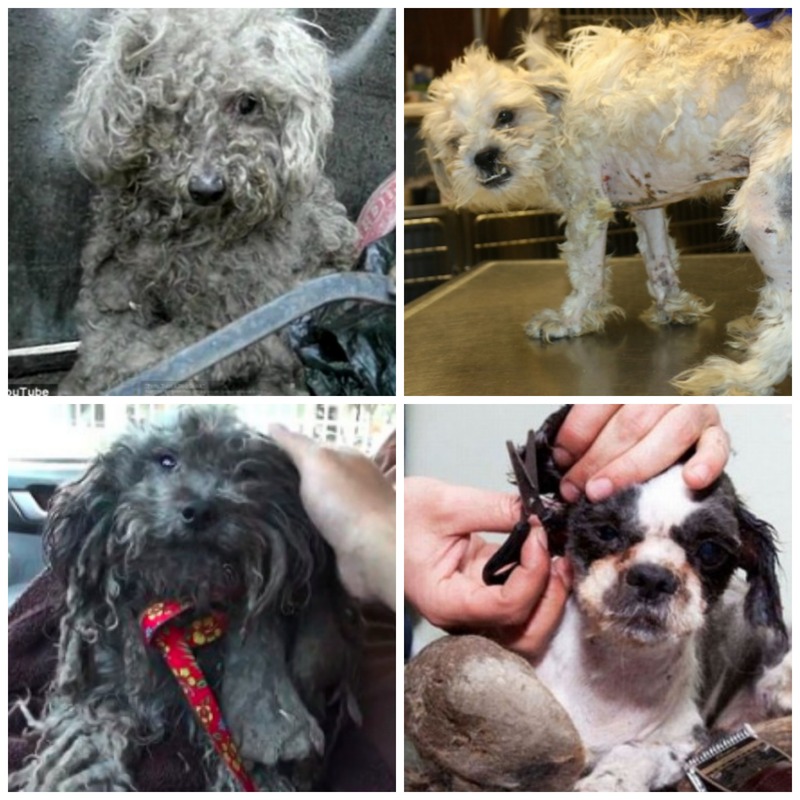 So, without further ado, check out these almost unbelievable dog rescue stories! Arf Arf! Poor Sammy was in awful shape when he was rescued by the Quebec Society for the Protection of Animals in Montreal, Canada. After some tender loving care, she is looking much better these days and is now available for adoption! Read down to the last slide to see another super furry pooch! Boo was certainly living up to his SCARY name when he was picked up by the Community Animal Rescue and Educational Shelter in Florida. Underneath all that fur, he’s really quite a cute puppy with an adorable face! We’re sure that he’s a total delight to his new owners. Treasure may be smiling now, but that wasn’t the case six months ago! 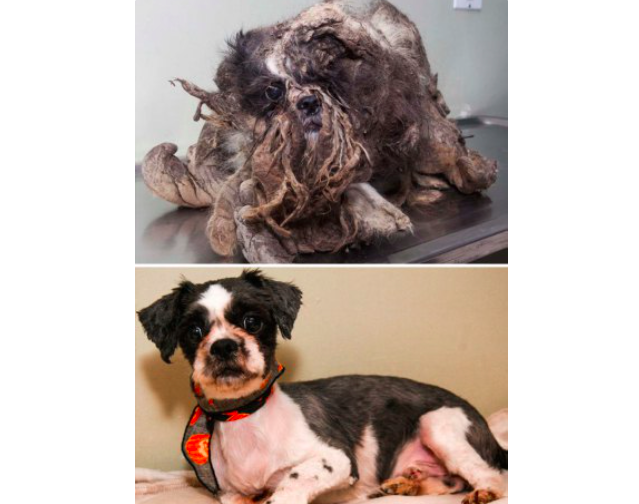 She was found abandoned on the side of the road, unable to walk or move due to her severely matted fur and broken bones. Fortunately, she was adopted by a wonderful family and is all grins now! Alana was dumped on the streets after her owners discovered that she had a breathing problem that would be expensive to treat. Due to a wonderful rescue organization, she has received the best possible medical care, and is now ready for adoption! Alana’s story is sad, but just wait until you see the dog on slide 6! Veterinarians said that Cedar had one of the worst cases of malnutrition they had ever seen, so they had to carefully re-feed him using baby formula. Now that he’s put on a few pounds, he is much happier and back to being his usual, playful self! What a happy ending!